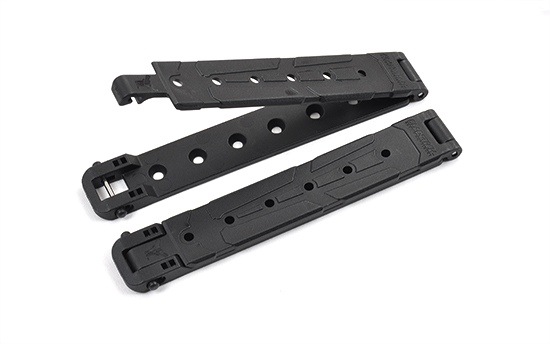 MOLLE-LOK - Large , provide a fast and efficient way to custom carry knives and other gear. The spring loaded pin and lock system will keep in place. Your can very easily rearrange the items. Measures, 6.3" x 1" x 1/4". Set of two includes hardware.